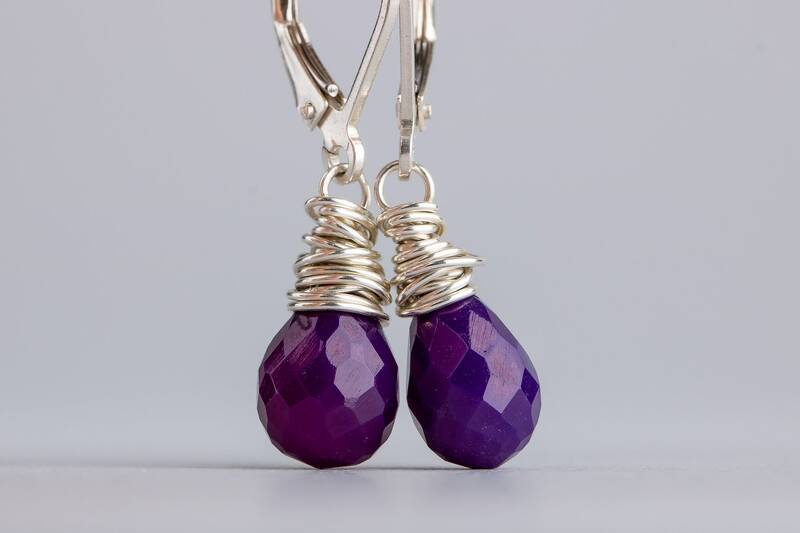 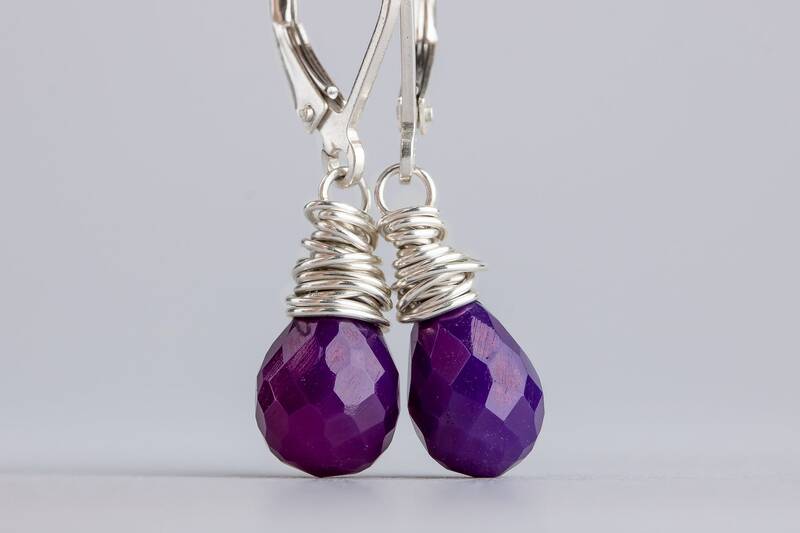 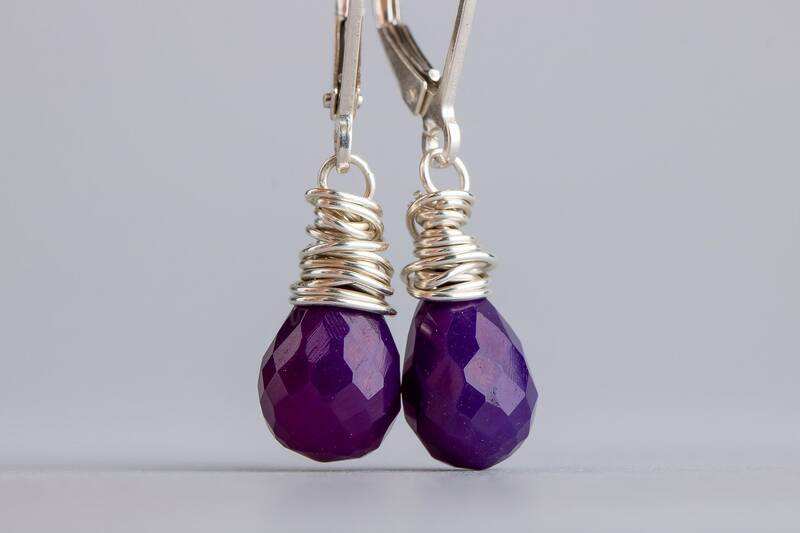 I have created these gorgeous earrings from purple Chalcedony gemstones that I wire wrapped in solid Sterling Silver. 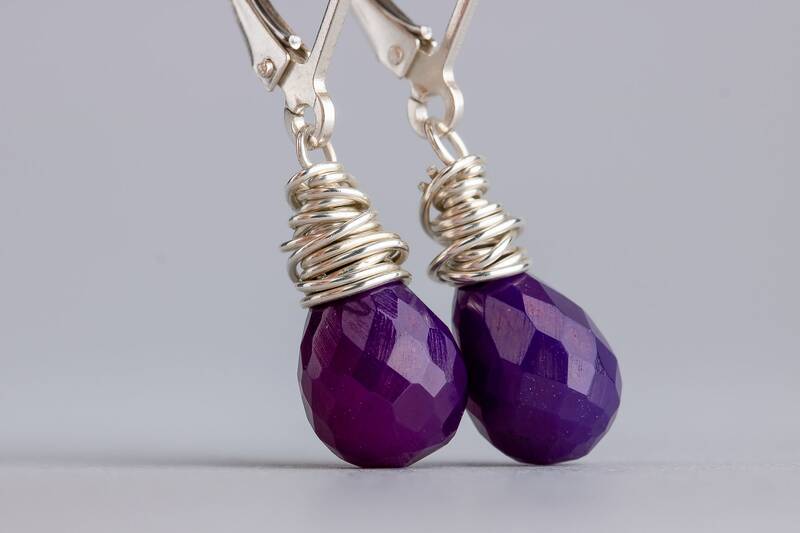 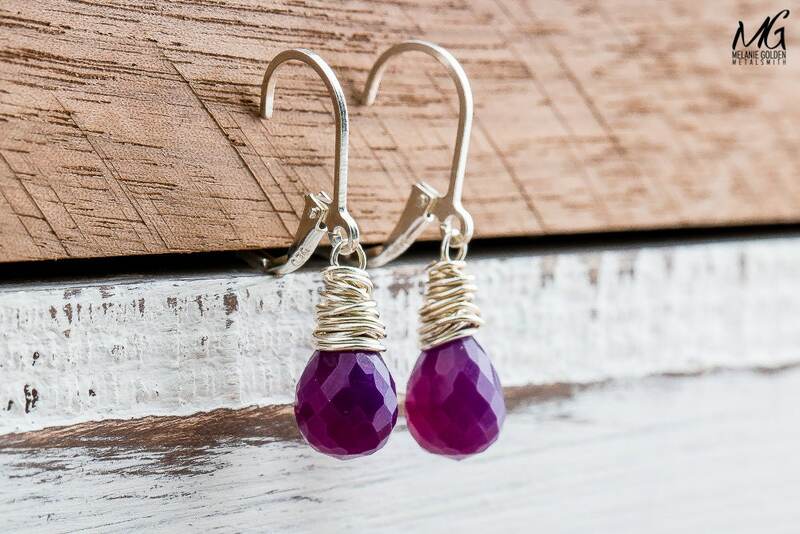 The earrings hang from strong lever-back ear wires to help prevent loss. 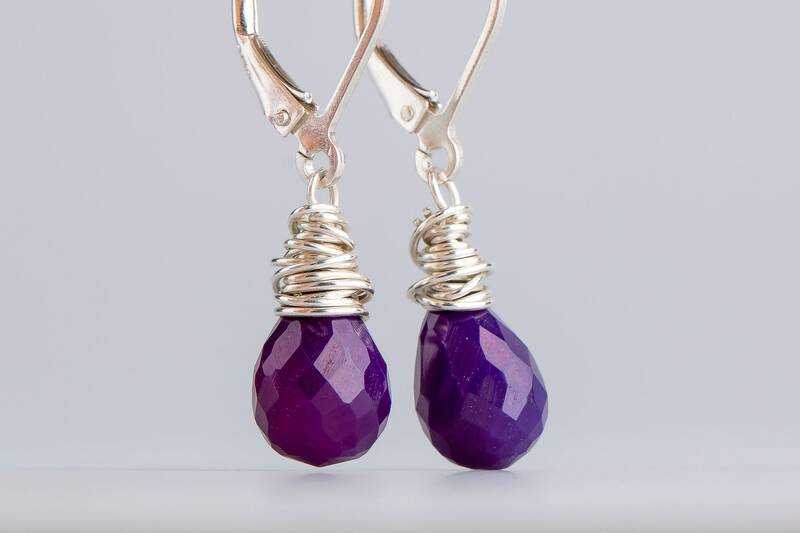 A compact microcrystalline quartz, Chalcedony (pronounced "cal-SID-nee") is a tough, durable stone. 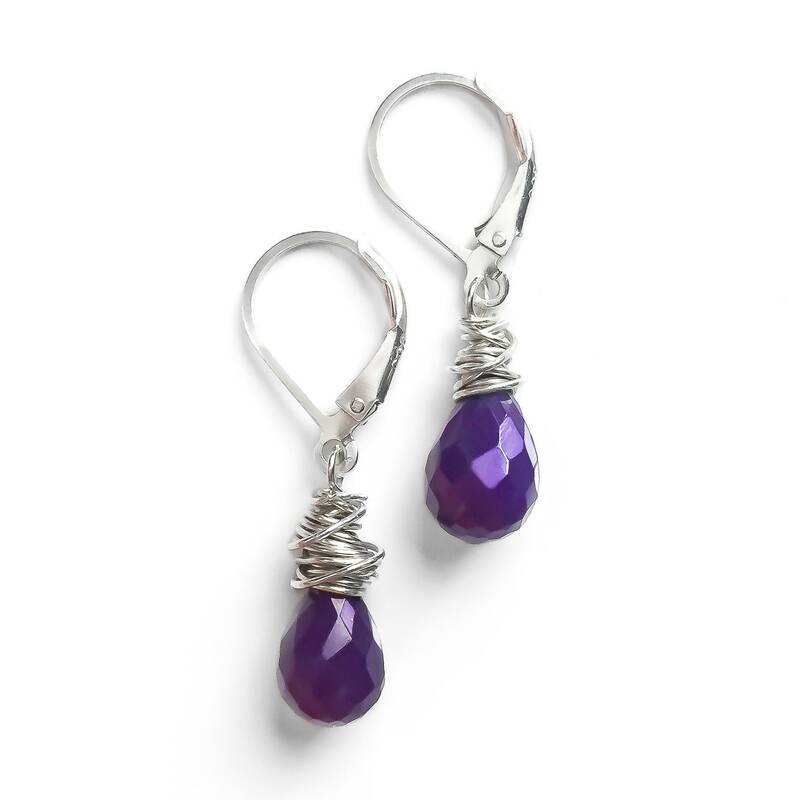 - Earrings measure approximately 1.25 inches long, including the lever-back ear wires. 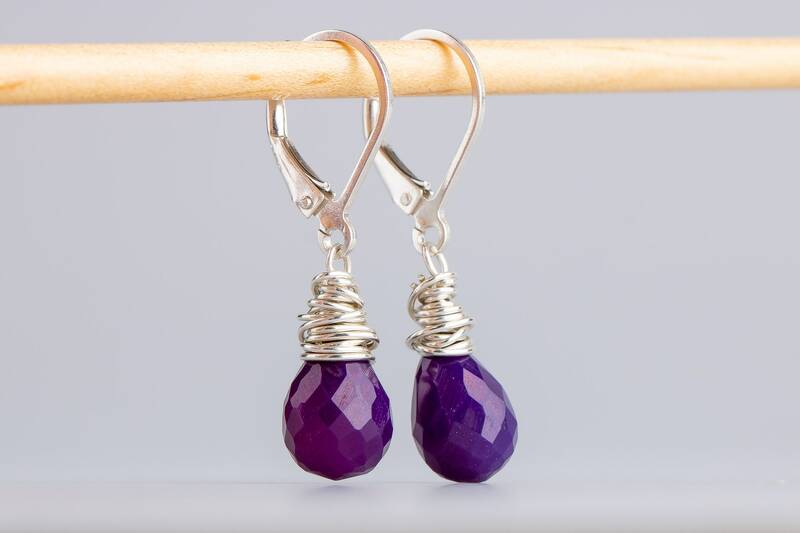 - Earrings are made entirely from solid Sterling Silver and purple Chalcedony gemstones.